Notes: I used the lesser amount of butter suggested and 2 percent milk. First, you need to roast your squash in a hot oven at 425 degrees. till tender. Make sure you drizzle it with olive oil, salt and pepper. It will probably take about 25 mins. In the meantime make a pot of bechemel by melting 1/4 to 1/2 cup of butter and then mixing in 1/4 to 1/2 cup of flour, keep whisking, then squeeze in your roasted garlic, add salt and black pepper. Pour about 5 cups of milk in and whisk till thick. When squash is cooked, stir it into the sauce along with the rosemary ( about 1 tbl.) and half of the Parmesan cheese. Reduce oven temp to 375. Layer it like you would any lasagna. Spray your baking dish, layer the noodles, and spread the sauce mixture all over, and sprinkle with cheese. Continue layering till done. Sprinkle more cheese on top. Cover with foil. Bake around 35 to 40 mins. Uncover and cook till golden brown. Marie of a Year at Oak Cottage and Anduviya of A Little Bit More (Thanks!) have both tagged me for a lucky 7 meme with accompanying award... I'm not sure you want to know this much about me. I'm not as interesting as all of you, so I'm tagging 7 more of you and bestowing the award down below. You can skip to the bottom, unless you're as nosey as I am. 4. Memorize "The Midnight Ride of Paul Revere"
7. Must love good quality food. Lots of it. And of course being gorgeous never hurts. But that would be number 8. 3. If you two don't hurry up, we're going to be late. 4. Now we're going to be late. 5. Go ask your father. 6. I wish the day was longer. 7. Yawn. Tonight I'm really going to bed early. i had a butternut squash lasagna at a quaint little restaurant last fall in northern virginia (with neves and mcarthur). it was heavenly. i can't wait to try this recipe. I am flattered that a blogger of your caliber would think of me when giving out an award. I have become such a fan of your site and am regularly amazed not only by your creative, intelligent, and informative posts but also by your kindness in reaching out to so many other bloggers through your generous comments. Thank you! By the way the butternut squash lasagna looks wonderful, and to illustrate my point, only you would have thought of using a crock pot to cook the squash and garlic! Enjoy the rest of your Sunday, and have a wonderful week! This is a beautiful dish. I bet it was so good! This looks wonderful...I make a pasta dish with butternut squash, so I know how good they are together. And hat a brilliant idea to use a loaf pan as a perfect fit for those noodles. I never make lasagna unless I'm having company, but now I have the feeling that I will. "Oh, mama!" is right!! That lasagna looks INCREDIBLE!! Oh Prudy, You did a wonderful job on your lasagna! It looks way more creamier than mine! I love the loaf pan idea, I'm definitely going to try that next time, and using your crock pot too. I just came home, and saw this, you made my day, I'm so glad you and your family enjoyed it. BTW, I loved learning a bit more about you. You run everyday? (I'm so envious!) I'm sure thats the key to being able to eat all this good food here. Prudy, you did a wonderful job with your Meme! And I so enjoyed reading it and getting to know a little more about you. The lasagna looks gorgeous... fall perfection. Wow, you are one busy woman! The lasagna sounds amazing. I love butternut squash. This lasagna looks and sounds amazing. That is a great idea to use the slow cooker to cook the squash. I don't think I've ever eaten butternut squash, even though I know it's very popular. I am going to make a point of trying some soon. This looks absolutely delicious and actually quite easy. And you're wrong, girl! You are VERY interesting and VERY accomplished! I did some telemarketing, too. Lasted 2 days! Lovely! I have decided that I want to try more things with butternut squash too and this looks and sounds divine. That risotto won me over a couple of weeks ago. I am now hopelessly devoted to this squash. I saw that lasagna too! And wondered how in the world did she get is so perfect on the sides with no drippys? Amazing. I'm glad you experimented with the half batch so I don't have too. I get up way too early too and always say, every night "I'm going to bed early tonight"...rarely does it ever happen. Your lasagna looks great! I have always wanted to make butternut squash lasagna but just haven't yet . . . now I must! I loved reading your Meme! You are such an outgoing person and it really shows in your blogging and kitchen skills too! There is nothing like a plateful of layered Italian deliciousness when the weather turns chilly. Yum! I always love a good twist on lasagna. I'm going to make that lasagna.It looks incredible.And great idea about using a loaf pan. It will be perfect for my husband and me. Yum! Wow, that's amazing timing. Last night around midnight I was searching for a recipe for butternut squash in the crock pot. Didn't find it, so I put off the cooking of the squash. I will get to try your recipe instead of plain squash! This lasagna looks so yummy. I can't believe how many things you do. I am impressed. This looks sooooo good! I can't wait to try it! I love your loaf pan idea. You told me to do that, right after I got married, and you were giving me tips on how to cook for two, and I still use that one! I loved reading your meme, what a lovely and accomplished girl you have turned out to be. I'm sure even Caroline Bingley would have to admit to that! Haha. Cute meme! I just picked up a butternut squash at the farmers market this morning. This might just be the perfect use for it! It sounds so comforting. I saw this lasagna on Proud Italian Cooks blog and drooled as well, I really want a bite of it right now! Yours looks delish! What a cool take on lasagna! You have to get up way too early to get all your "stuff" done! I have always wanted to make butternut squash lasagna. That looks delicious! Please do call when you're in the area soon! I was going to comment on how good your lasagna looked and then I got caught up reading about your interesting life to find out you awarded and tagged me! I'm totally honored! Thank you so much! I am totally impressed with all that you do, by the way. You are a super mom, super baker, and super smart. Home schooling, teaching, baking, and how many languages do you speak anyway??? You are an inspiration to little moms like me who feel so overwhelmed some days. OMG..I would have never even imagined that flavor combo for a lasagna! YUM! Love the "go ask you father" comment!!! Ooh that lasagne looks so good. Think I can get my husband to make it for us? :) Where in Europe are you going? I hope to the motherland? Husband gets back in one hour. Finally! I loved reading all those things about you in the tag. So fun! Great post! It was fun learning more about you and congrats on the award! Can't wait to try this recipe. Prudy, I jumped on your blog tonight, and was so excited to see that you made Proud Italian Cook's butternut squash lasagna -- it has been on my "must make" list ever since I saw it on Marie's blog, and it was fun to see some of your usual brilliant "Prudy" touches -- the loaf pan . . . the crock pot for roasting the squash and garlic! 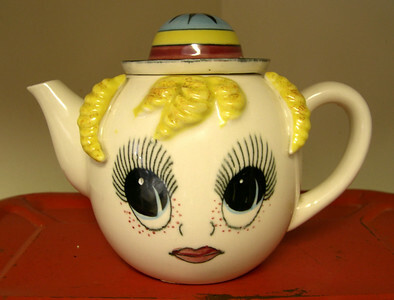 I enjoyed every minute of learning more about you -- you bet I'm as nosey as you are!! -- I am just completely blown away by all that you do. Starting with the getting up and running every morning. I might ask you to start giving me a wake up call, if you don't mind. By the way, I am going to start reading your posts very closely to figure out the appropriate context for "oh, mama" versus "ay, mamacita." I think I know, but I want to be sure. Thank you so much for thinking of me when passing out this award, Prudy. I think that your blog is in a league of its own. You offer the complete package -- the great food, the innovative ideas, the fun, sharp writing. I am truly honored that you would think of my blog when passing on your richly deserved award. Thank you! I'm a little embarrassed to write this, but when I was clicking on the links to the other bloggers to whom you gave your award, I also clicked on mine and was sent to a Matt's Kitchen in Australia. It was his profile page. He didn't seem to have an active site. If you could let me know, I'll change the post I'm working on. This lasagne looks fantastic. I adore Butternut Squash. Great meme too! Oh Erin, you are plucking the strings of my heart with that lasagna!!! It looks delicious! Loved the meme too! Now I have to find the no bake lasagna which should be easy (for some reason Japan has a HUGE fusion of Italian food and French), but still no provolone.. ERR..
You are so creative... I seriously need to get a crock pot, but I hope I can use the microwave for the squash and the oven for the garlic??? Hi.My friend Suzie from Munch and Nibble sent me through to you. She knows I am always looking for great vegetarian recipes so will give this a try (plus I have an enormous rosemary bush out the back which I never know what to do with). Also, I am a passionate environmentalist so love your cooking method tip. A slow cooker is definitely better than an oven as is a pressure cooker. The microwave is the most energy efficient method but I don't think the squash would taste the same! Oops, sorry Matt. I had just typed in your link incorrectly. I went back and fixed it so it should be working now. You lasagna looks picture perfect and sounds so delicious. I love butternut squash and I am anxious to try your recipoe. Thanks so much for letting me know. I rechecked all the links and three were wrong. Three out of seven. Maybe I should give up Humanities and take up typing again. Which I never really took at all. Thanks for your patience---and also for your extremely kind comment! This does look totally appetizing! I love your tip about baking up that butternut squash! You are such a smart little lady blessed with so many talents. I just loved your meme. I learn someting all the time from you. I love the fact of using a loaf pan to make the half recipe!! Perfect for us empty nesters. meanwhile, i loved learning a few more nuggets about you, and thanks for the tag! Why do I visit your blog hungry? BIG mistake! ha! this lasagna is right up my alley! I love squash in all forms but I think butternut is my favorite! This is such a perfect Fall meal! Great lasagna! I love your meme. Oh Gawd, hoist a slab onto my plate right now...I'd be sated from this lasagna. How do you do it all? I am beyond impressed with all your commitments-- I can only imagine what a teacher, home schooler, and school board member you must be if your blog is any gauge! 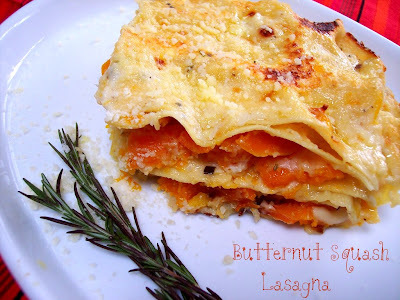 My family makes a delish butternut squash lasagna, but I'll have to try this one soon. Butternut is one of my all time favorite fall/winter foods and my husband is Italian and always trying to find a way to squeeze one more pasta dish into our week-- this should do the trick! LOVE the tip on using the crock pot for the squash and garlic. Great info, thanks! I must make this!! Looks so good and I cannot seem to get enough of that butternut squash!! Re your tag - you sound like a dynamo! My interests include napping and throwing squeeky toys. I have read all of Sherlock and have a man with most of the qualities you mention - so I don't feel too bad! The lasagna looks fantastic - rich and delicious! Great meme too. I see why you want to make that lasagna it looks wonderful and I love the colors. I wouldn't have thought to use butternut squash in lasagna, but it looks amazing!! Prudy, you are awesome! Thanks for the award! My alterego and I will put it to good use. I'm definately making this lasagna later this week (maybe next week)! I got a butternut squash, and I'm thinking "pie", which hubby says his mother used to make and he loved. *sigh* I'm a little afraid of pies. Your butternut squash lasagna is really pretty! This is one very delicious butternut squash lasagna!! Gorgeous lasagna! Congrats on your award. I loved reading the facts about you! Oh that's hilarious! I loved the going to bed early one. I say that every night. And then I never do. You're so cultured! I'm impressed by your devotion to literature in the arts. I'm afraid all the Pond can offer you is a barbecued rib and a bunch of goofy critters. I love the lasagna. One of these days I'm coming to your house and staying for dinner for eternity. I'll look like the 40-lb. cat Princess Chunk in Blond Duck form. I loved reading about you! This looks like a fantastic pasta and your photo makes it all the more inviting. I appreciate the slow cooker tip. We use our oven so much, I'm scared to think how much it's costing us. I'm just as nosey as you are - memes are even better than peeking through the windows, don't you think? 3,4,5 & 7 are some of my favourite phrases, too. Perfect-looking lasagna. Your addition of rosemary is really interesting. I'm sure it adds a lovely aroma to the dish. Thanks so much for the kind words. I had never done my butternut squash in the crock pot before and when I found out how simple it was I was kicking myself. Easy peasy! I'm definitely doing it again. Especially since I bought a huge one yesterday! There's so much to love about this post, I don't know where to start. First - I must make this lasagna. I just so happen to have a buternut squash sitting on my counter this very second. Second - THANK YOU for sharing a peek at your life. You are definitely one smart, interesting cookie. And the lasagna sounds absolutely delightful and heartwarming! Congrats on the award :)! BTW, I love how you threw in mashed potatoes and gravy next to all those other yummy foods! It's hard to compete with a classic like that :P.
This is such a cool recipe! Another idea on how to use the butternut... very creative :0). That butternut squash lasagna looks good. I have been wanting to try a squash lasagna. For anyone who hasn't met Prudy in person, she is a real mortal. We hung out in the pool one afternoon adn she wasn't walking on water so...case closed. I want to make this recipe but I'm a garlic noob. "Squeeze the roasted garlic into the sauce?" I think I will have to look that up. Are you just dumping the oil in or does the whole head go in too? And could this be what those mysterious garlic presses are for? finally made this tonight, a year and a half later, and it was a home run in my book. i had to tear myself away from the pan. ay, mamacita! I have two acorn squash and a banana squash sitting neglected on my pantry. Do you think either of those would do, or should I wait until I get my hands on a butternut?